Air blowers are frequently used in a spa to blow air through an air channel into holes installed in the (bench/seats) of the spa shell. They are also used to boos air induction into the jets. 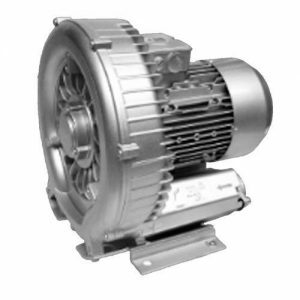 Air blowers are used in both spas and hot tubs and vary in horsepower and voltage. The air blower is essentially an air pump with motor. Proper installation requires matching blower motor size with the requirements of the air piping and jets, just as the main water circulation pump must be hydraulically matched to its piping. Many portable spa manufacturers design the number of blower holes and jets that will work effectively with a 1.5 HP motor.